In North America, diesel engine technology is receiving a much-deserved second look for powering passenger cars. More affordably targeted vehicles such as the Mazda6 SkyActiv-D Diesel and the Chevrolet Cruze Clean Diesel eyes increasing the visibility of the gasoline alternative. Across the Atlantic Ocean, diesel powered passenger cars account for more than half the vehicles sold in European cultures. Already achieving mainstream appeal, the European market’s next foray into diesel technology is in high performance applications. There, the Audi SQ5 crossover now on sale is fitted with a 313-horsepower TDI diesel powerplant. Producing better fuel economy than traditional high performance vehicle offerings, the Audi SQ5’s 347 pounds feet of torque allows the acceleration from 0 to 62 miles per hour in 5.1 seconds. Wanting to better Audi’s RS team’s efforts, the folks at vehicle tuner ALPINA have prepared the D3 Bi-Turbo for new velocities in diesel performance. 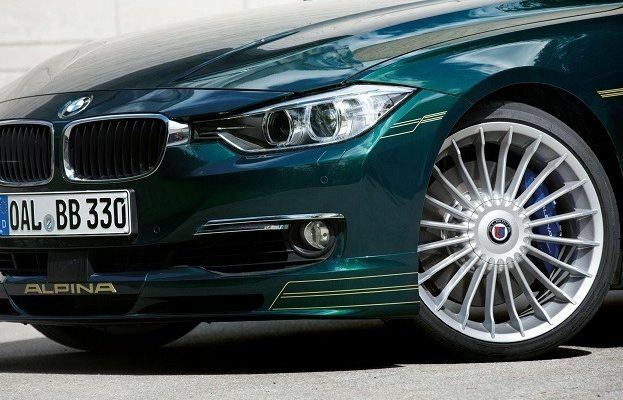 A reputable name in high-quality performance wheels, ALPINA is a long respected supporter of the German auto company BMW. Since the 1960s, BMW vehicles modified by ALPINA received such high marks for quality that BMW would continue to honour factory warranties. Known for the ALPINA B7 in North America, their performance car line has included other BMW products featuring gasoline and diesel power. The ALPINA D3 Bi-Turbo is the latest extension of the German partnership. For 2014, North American car buyers will receive a smaller four-cylinder turbocharged diesel engine with the BMW 328d replacing a larger six-cylinder powerplant. Still offered in Europe, the 3-liter inline-six engine propels the ALPINA D3 Bi-Turbo. When the engine is presented in stock trim under the hood of the BMW 330d, the production of 258 horsepower combined with 460 Newton meters of torque delivers performance few diesels can match. Unwilling to match it, ALPINA decided to beat the 330d by making use drastic improvements to the turbocharged diesel, 3-liter inline-6 engine. Upgraded from one to two variable geometry turbocharger units, the ALPINA D3 Bi-Turbo version of the BMW diesel engine also employs a 20 percent larger intercooler, larger intake ducting and special engine control software. The result is a performance enhancement worth 350 horsepower and 700 Newton meters of torque for the drivetrain. High carbon steel, free-flow exhaust modified allows the twin-turbocharged diesel engine to expel its emissions towards an Akrapovic four outlet exhaust system. In order to handle the new power load, an eight-speed transmission was created with increased durability and configured for faster shifts. The gearbox of the ALPINA D3 Bi-Turbo can operate as a full automatic or in a manual mode using ALPINA’s specialized Switch-Tronic system. Using the new BMW 3 Series as the basis for this all-new diesel super four-door, ALPINA starts on an already formidable premium car platform. The ALPINA D3 Bi-Turbo’s exterior improvements consist of a unique front and rear spoiler designed for better aerodynamic flow. ALPINA’s 19-inch Classic lightweight alloy wheels are stylish and functional in appearance worn tastefully on Michelin Pilot Super Sport tires. Available as a sedan at £46.950, the ALPINA D3 Bi-Turbo can also be ordered in form of a £49,950 wagon (very European). Inside, BMW 3 Series touches have been enhanced through ALPINA’s bespoke work on the D3 Bi-Turbo. Leather trim and electrically adjustable heated front seats wearing the ALPINA name provide a definitive luxury layout for passengers as well as the driver. With total control of the steering wheel wrapped with hand-stitched Lavalina Leather, the driver of the ALPINA D3 Bi-Turbo overlooks blue-faced gauges. An individualized plaque on the centre console will commemorate the production of each ALPINA D3 Bi-Turbo model. When setting the modified BMW in motion, the twin-turbocharged diesel launches the ALPINA D3 Bi-Turbo commandingly with emphasis on low-end momentum. 0 to 62 miles per hour launches are accomplished in just 4.6 seconds. The ALPINA D3 Bi-Turbo will roar up to 173 mile per hour on the Autobahn with the secure handling technology of Dynamic Traction Control and powerful Brembo brakes. Advertising the D3 Bi-Turbo as the fastest diesel powered production car, this ALPINA claim could be disputed by champions of the Trident Iceni supercar. 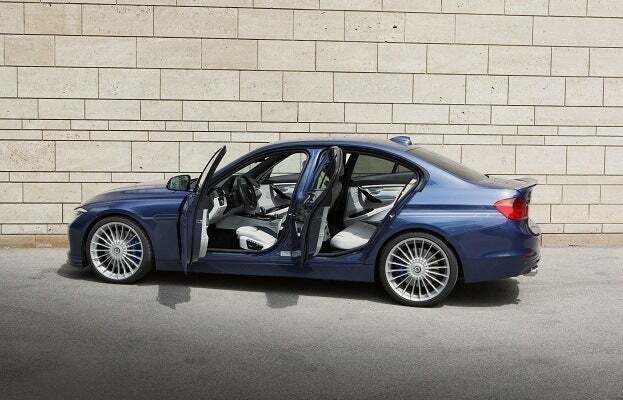 However, the ALPINA D3 Bi-Turbo’s production of 1,200 vehicles a year would make it a more prolific performer. Unfortunately for Americans, the diesel-powered ALPINA D3 Bi-Turbo will not be expecting any one of those production models for the time being. 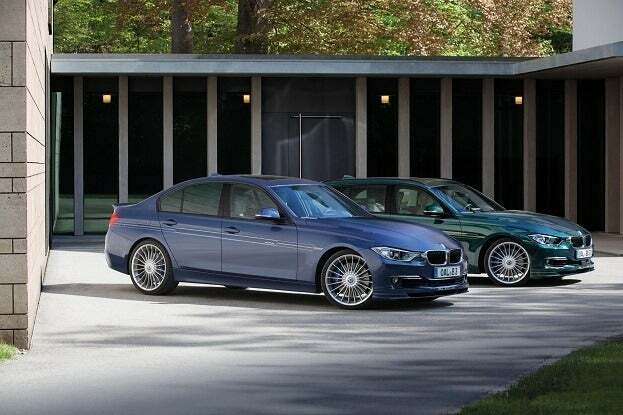 No Comments on "ALPINA Launches New D3 Bi-Turbo Super Sedan"